The character or style of a building. 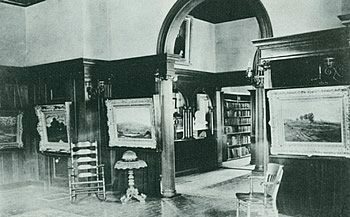 Many artists admired the grand architecture of Miss Florence’s house. 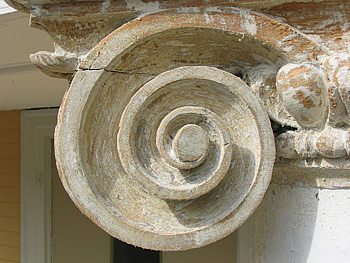 The decorative top to a column or pier. 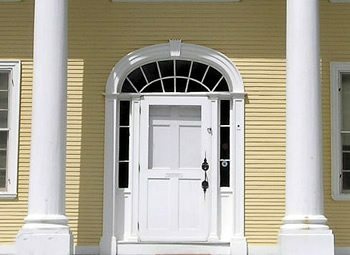 The capitals of columns on the Griswold House were painted yellow to match the house. 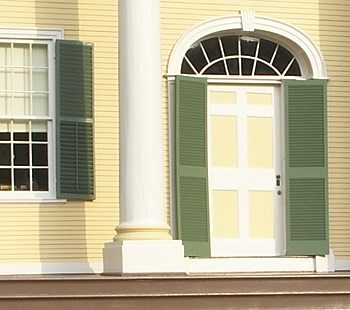 The four columns on the front of the Griswold House are made of wood and are hollow inside. Any prominent, continuous, horizontally projecting feature surmounting a wall or other construction, or dividing it horizontally for compositional purpose. The fancy cornice above the door in the art colony bedroom reminds us that the room was originally used as the parlor. Any of a series of closely spaced, small rectangular blocks, used in classical architecture beneath the cornices. 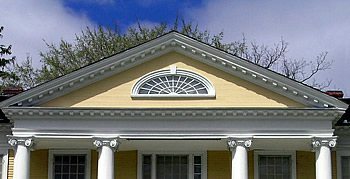 In the moonlight, the dentil molding in the pediment of the Griswold House looks like large rows of teeth. A window over a door or another window, often in the shape of a fan (a semicircle or half an ellipse shape). The light coming through the fanlight over the front door casts a shadow on the carpet. A decorative element, usually rounded, often bearing objects represented in relief. Imagine how pretty Miss Florence would have looked standing beneath the plaster medallion in the ceiling greeting her guests. 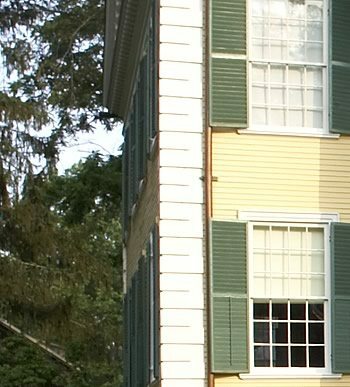 A low gable, typically triangular with a horizontal cornice and raking cornices, surmounting a colonnade, and end wall, or a major division of a façade. 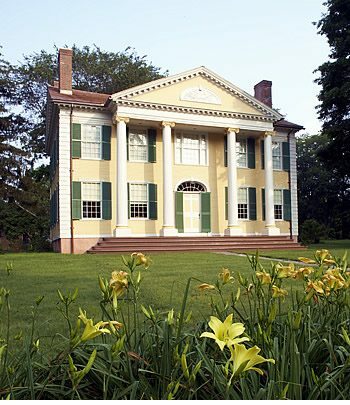 Many of the artists called the house a temple because of the classical looking pediment set atop four columns. A structure consisting of a roof supported by columns or piers, usually attached to a building as a porch. 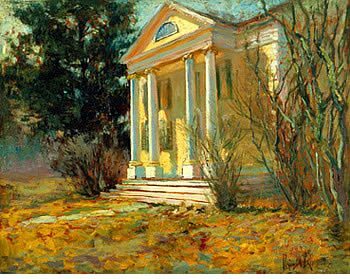 The key to any painting of the Griswold House is to get the portico over the columns right. Large size blocks of stone on the corners of buildings that form a decorative contrast with the adjoining wall. 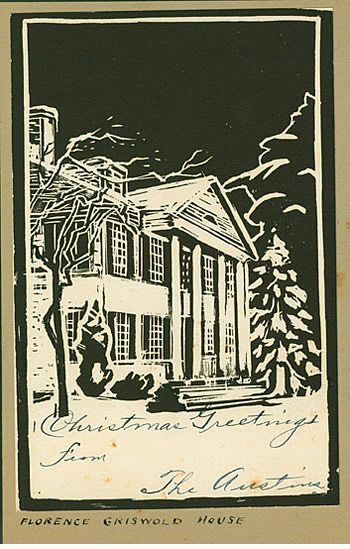 The quoins on the corners of the Griswold House are painted white and made of wood. A hinged cover or screen for a window or door, usually fitted with louvers. 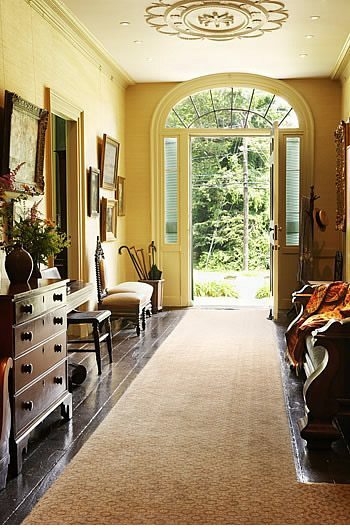 The summer shutters on the door allow a breeze to enter the house while still blocking out the hot summer sun. 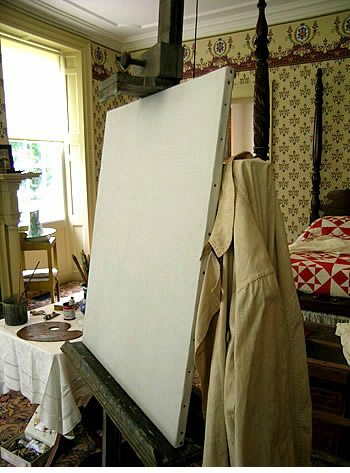 The artist brought a bolt of canvas from New York that he intended to prepare once he arrived in Old Lyme. 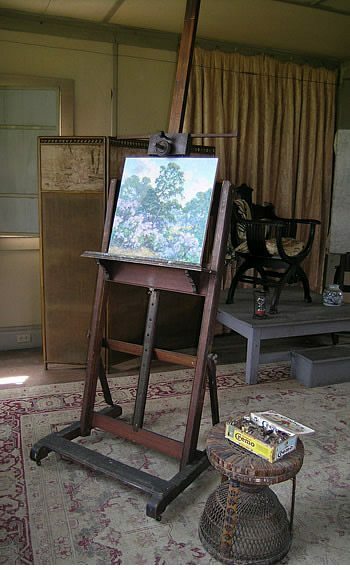 The artist set up his easel near our picnic and began to paint. 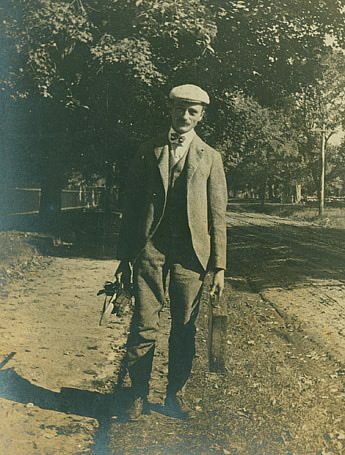 With his paint box in one hand and easel in the other, the artist headed away from the Griswold House for a day of painting. The painter moved the brush very quickly on the palette mixing just the right shade of green. 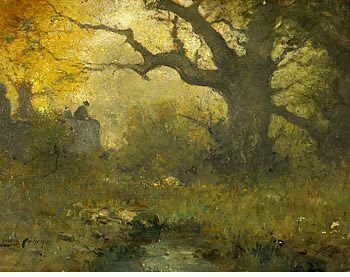 To set the mood, the artist only used a palette of browns, greens, and golds. 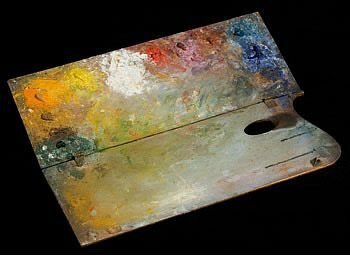 A thin, flat piece of wood that can be used for painting. 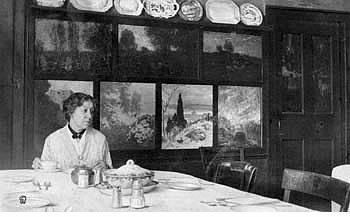 Arthur Heming promised to bring the finished panel back the following summer to be installed in the dining room. 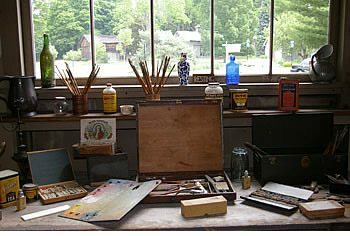 Determined to be an artist, Sheila turned the unused attic into her studio where she could paint without interruption. One often sees a plein-air painter at work when you drive by Tiffany Farm. Our time at the beach last summer was filled with moments that would make for a wonderful genre painting. 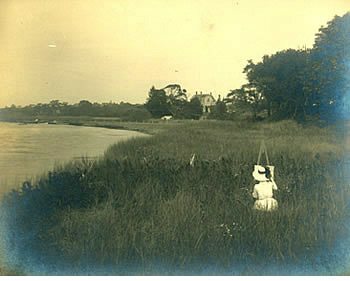 The artist who wanted to learn more abut Impressionism was smart to follow Childe Hassam to Old Lyme to watch him paint. 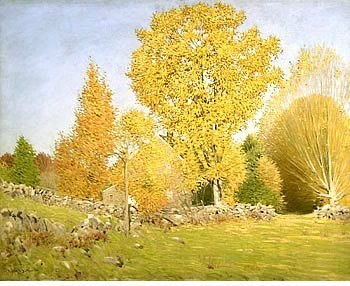 After his third summer in Lyme, the artist changed from painting dogs to landscapes, happy that his trees did not chase butterflies. 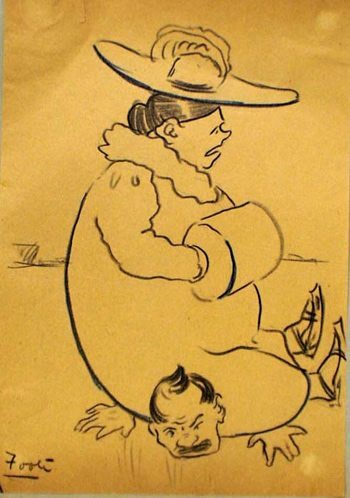 The woman would talk to her husband’s portrait hanging in the hallway when she was too mad to talk to him directly. 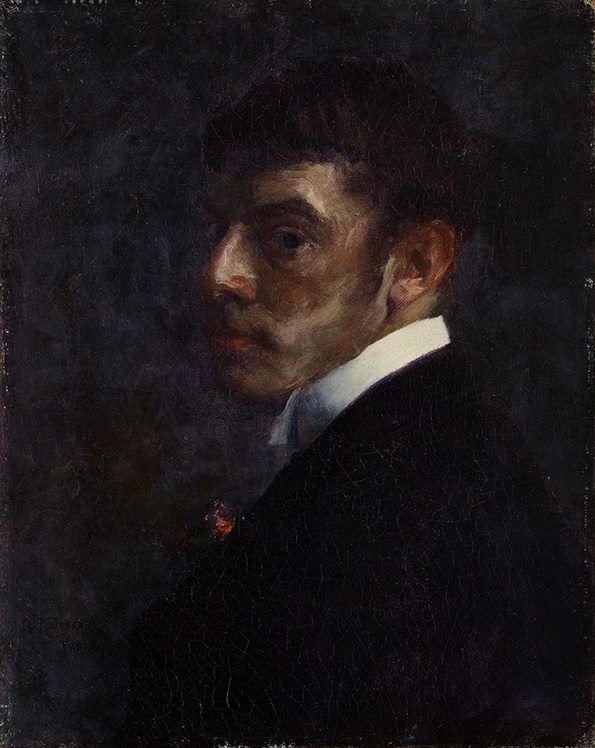 The artist would often paint himself using a mirror when he didn’t have enough money to hire a model. A representation of chiefly inanimate objects such as a painting of a bowl of fruit. 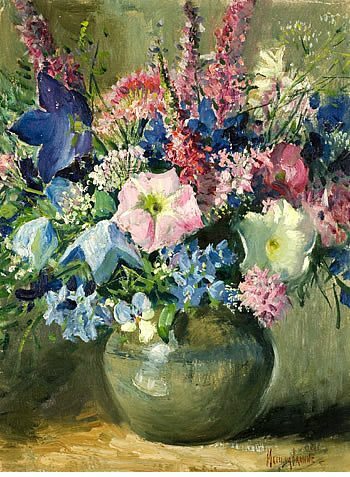 Since the artist was tired of painting models, he decided to do a still-life painting of a table and a vase of flowers. 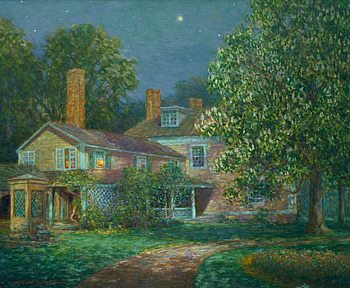 A style of painting that was favored by the early artists of the Lyme Art Colony. 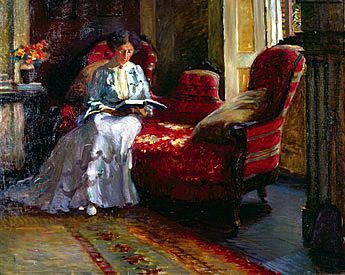 They used a limited number of colors and painted scenes that were filled with sentiment, emotion, and mood. 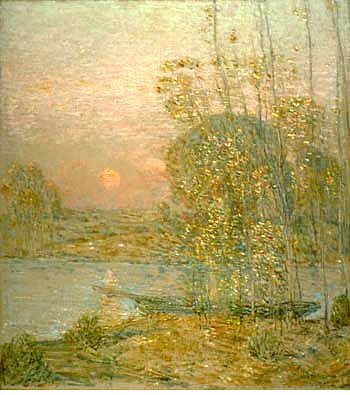 Dedicated to the style of tonalism, the artist painted at twilight to capture the golden light before sunset. 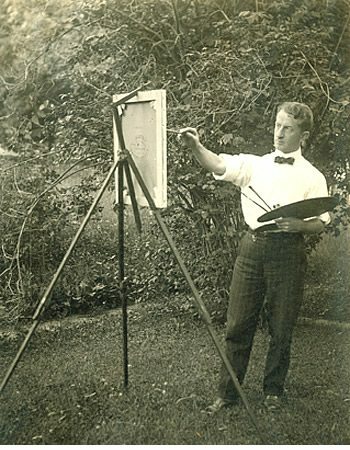 Bringing together all of his artistic friends was Henry Ward Ranger’s first step in forming the new artist colony at Old Lyme. A private house that provides accommodations (a place to stay) and meals for paying guests. 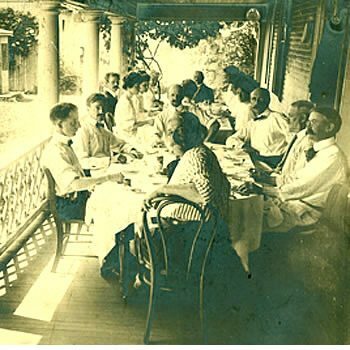 Miss Florence turned her house into a boardinghouse and charged $7 a week for a room and meals. Living the life of a true bohemian, Peter sleeps all day and paints to his music all night. 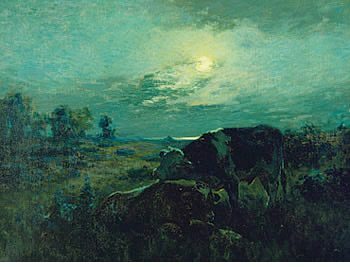 Each August, the Lyme artists would put together an exhibition of the paintings they finished that summer. 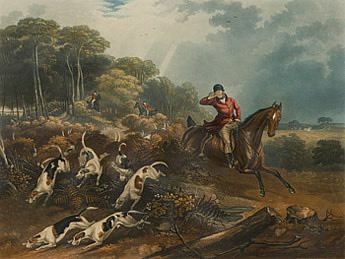 The four prints over the fireplace in the dining room depict an English foxhunt. 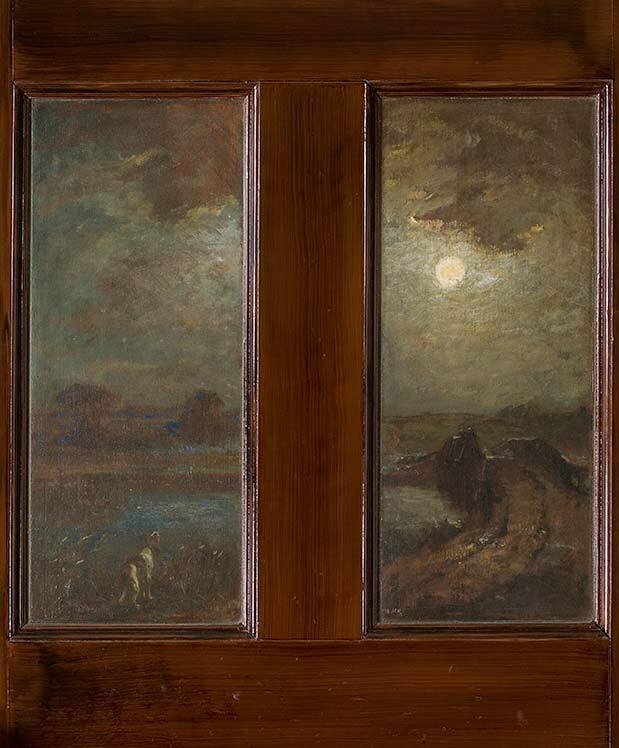 Although many of Miss Florence’s belongings were sold, the painted doors and panels remained in situ over the years. Also called packet ships, these small vessels carried mail, passengers, and goods regularly on a fixed route at sea, on rivers, or along coasts. Florence Griswold’s father was the captain of a packet boat and he would sail from New York to London transporting people and packages back and forth. 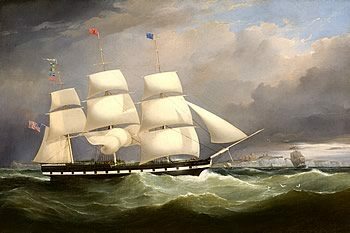 Samuel Walters (1811-1882), The Northumberland, 1847, Oil on canvas, Gift in Honor of the Centennial; Donated by Mr. William E.S. Griswold, Jr. 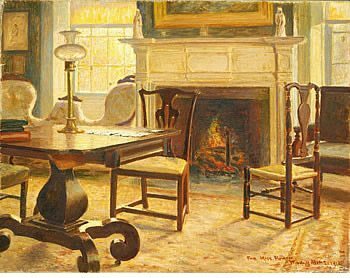 The artists would gather in the parlor after diner to listen to music and play cards. 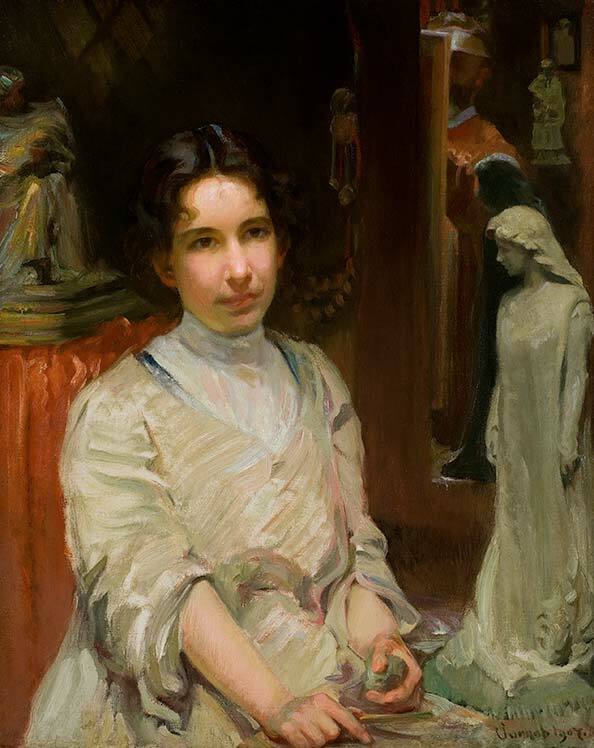 Woodhull Adams (1854-1922), Miss Florence’s Parlor, 1912, Oil on canvas, Gift of Dr. Matthew Griswold, Sr. 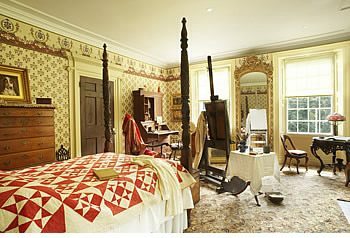 The artists would pass hours at a time playing the wiggle game in the parlor during the evenings.